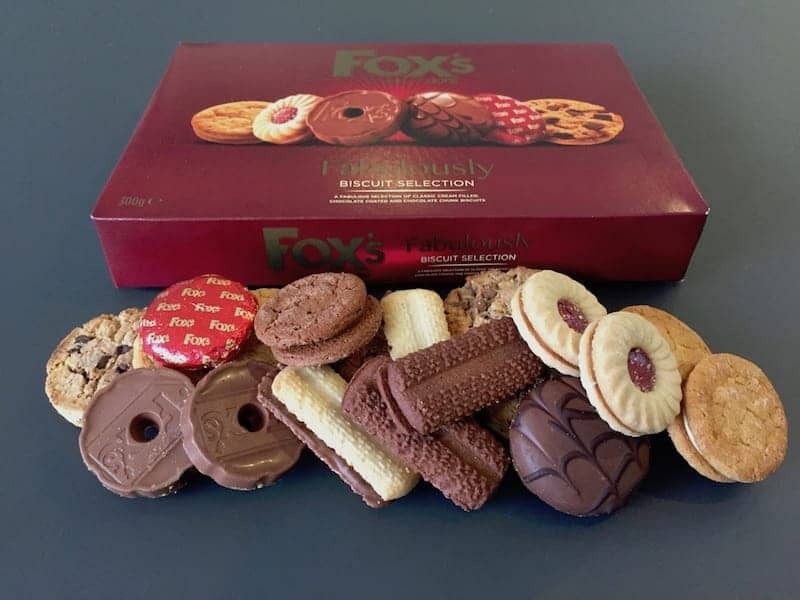 Fox's biscuits started out as a small family bakery founded in the 1853 in Batley, West Yorkshire to supply fairs and feasts held around northern England at that time. It is now one of the UK's leading biscuit brands. Fox's still manufacture in the UK at several locations, Batley, Kirkham near Blackpool and Uttoxeter in Staffordshire. Their range of quality biscuit products now includes Crunch Creams, Chunkie Cookies, Viennese, Chocolate shortcake, Rocky, iced Party Rings and wholesome Hovis biscuits along with the selection boxes.